Molecular tests are poised to become a part of the treatment guidelines for prostate cancer. These tests provide information that extends beyond just identifying the type of cancer a patient has; they can also help narrow down treatment options to those that offer the best outcomes for patients. 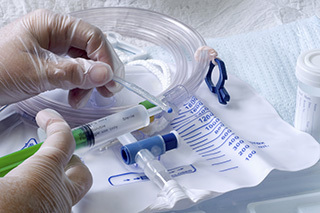 Oncology nurses at a New York cancer center successfully reduced the rate of CAUTIs at their facility to zero with a novel program that gives nurses autonomy in making care decisions for patients with urinary catheters. Frank dela Rama, a new member of the Oncology Nurse Advisor editorial board, talks about helping men with newly diagnosed prostate cancer learn about and prepare to cope with their disease. Counseling from a health care professional trained in genetics before genetic testing takes place may improve the quality of health care. A blue-ribbon team of national experts stated that professional pessimism and out-of-date myths rather than current science may compromise the care of patients with brain cancer. Cancer cells decide whether to live or die after a short period of intense exposure to targeted therapy, opposing the current requirement for continuous treatment, according to a new study. Nurse navigators can offer more than just helping patients keep their appointments and maintain their lives. Navigators can help the health care system function more effectively. The jury is still out on the dangers of e-cigarettes, whether they assist traditional smokers in quitting, and how much they should or should not be regulated by the government. As patients and oncology care teams strive to keep up with complex treatment plans, symptoms of distress in the patient may be missed. Distress screening tools can help nurse navigators identify which patients may need a referral for psychosocial support. Many patients skip doses or stop taking medication entirely when their share of the costs becomes too high.